Can I Still Get Divorced in Singapore if My Spouse is Uncontactable? Unfortunately, even in our tiny red dot of a country, spouses or those we’re hoping will soon become our ex-spouses can vanish into thin air. 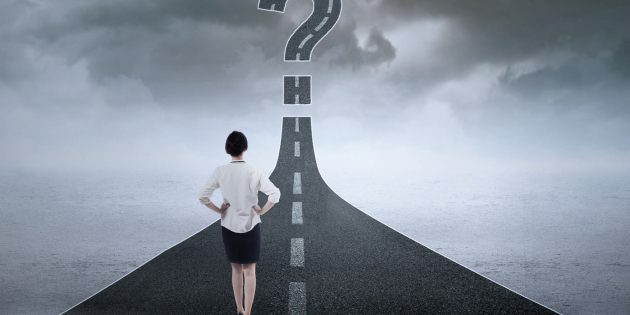 While admittedly rare, this scenario happens often enough that you might want to know your options in the event you wish to file for divorce but have no clue where your spouse might be. The main reason why contact with your spouse is so important for the purposes of divorce is because of the requirement for ‘personal service’ under Singapore law. When you file for divorce, the Writ for Divorce that is issued by the Family Justice Court in Singapore will have to be personally delivered to your spouse. If there is no ‘personal service’ of the relevant divorce documents to the spouse, there is no service of the divorce papers in the eyes of the law. Sometimes, a spouse can become ‘uncontactable’ because he or she is deliberately being evasive. This spouse may have changed his or her living accommodation or simply refuse to answer the door. Other times (and this seems to be becoming an increasingly common phenomenon), a spouse who is a foreigner may simply take off and head back to his or her home country, leaving nary a trace of his or her existence behind. One example is that of the Singaporean man who married someone from Vietnam or China, thinking that he’s found the woman of his dreams. Things start out happy enough. Then cracks form in the façade. Before long, the marriage is in shambles, and one day, the bride just completely disappears from the Singaporean man’s life. What are your Options if your Spouse is Uncontactable? 2) An application for service to be dispensed with. Substituted service is service in lieu of personal service. Essentially, it is an application to the Court to serve the relevant divorce documents in a different manner when it is impractical to serve the documents personally on the spouse. Generally, two reasonable attempts at personal service have to be made first before an application for substituted service can be filed. What are the Different Ways in which Divorce Documents can be Served through Substituted Service? 5) Substituted service by way of advertisement. What Mode of Substituted Service Should I Use? This really depends on your specific factual situation and how/why your spouse became uncontactable. 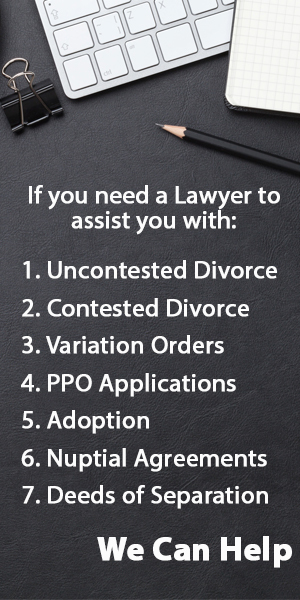 For example, if your spouse is simply avoiding you and you’re certain that he or she is still living at a particular Singapore address, the application your lawyer would be helping you to make would for substituted service by way of posting the divorce documents on his or her front door. If the spouse’s whereabouts in Singapore are completely untraceable for some reason, substituted service by way of email, Whatsapp or Facebook may be a more suitable application if you are aware of your spouse’s details. After all, in this day and age, nearly everybody has an email address and a social media account of some kind. Another example might be when your spouse’s whereabouts are untraceable and has no email address, phone number or social media accounts. This is quite an extreme situation but in such a scenario, you may wish to make an application to Court for substituted service by way of advertisement. Generally, the form of advertisement will be in a local newspaper in the language most commonly read by the uncontactable spouse. Usually, applications for dispensation of service will only be taken out after all attempts by substituted service have failed. Essentially, an application for dispensation of service means that you’re applying to the Family Justice Court to dispense with the service of the divorce documents altogether. A common divorce scenario in which dispensation of service is usually granted is the example given earlier about the bride from Vietnam or China completely disappearing from the Singaporean man’s life. If the Singaporean man does not even know which part of China or Vietnam his bride was from, and has absolutely no other means of contacting her, it is likely that the Court will grant an application for dispensation of service. Facing any issues with uncontactable spouses? Drop us a note here and we'll do our best to assist you. We answer all your queries within 24 hours.